New instruction manual for Bolt Threading Machine BM25 uploaded. New instruction manual for Conduit Pipe Threading Machine CM82 uploaded. Looking for dies or die head for your MCC Pipe Threading Machine? View our latest compatibility chart. Video “Quality that made by MCC” has been uploaded. New product, Extra Wide Adjustable Wrench, 10” was released. New product, Four Wheel Pipe Cutter w/ Bearing is now on sale. MCC is celebrating our 100th Year Anniversary this year. 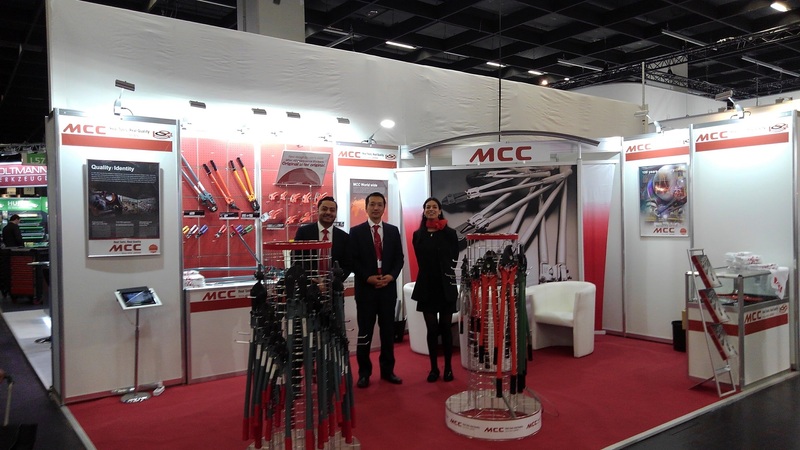 Thank you for visiting our booth at Cologne International Hardware Fair 2016.